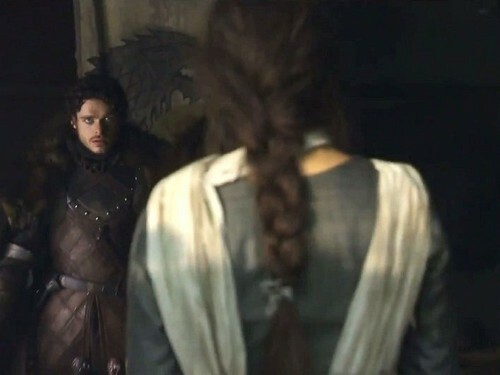 Robb and Jeyne Westerling. . Wallpaper and background images in the House Stark club tagged: game of thrones robb stark house stark jeyne westerling. This House Stark photo might contain outerwear, overclothes, well dressed person, suit, pants suit, pantsuit, overgarment, and outer garment.